Using a pinhole camera you will create photos that will not be clear but will be characterized by ambiguity, odd reflections and unspecified color shades and hues. On the other hand you will be able to see and express yourself differently: you may skip the boring procedures and discover the pleasure of exploration. You will approach photography from a different perspective. You will explore the light in a primitive way thus helping you understand and use it more effectively. You will expand and increase your photographic experience and pleasure, but not the cost of modern technologically-advanced equipment. You will focus on your inspiration by letting your instinct guide you, (and not the automatic settings) to shooting the “perfect” photo. You will remain concentrated to your frame and you will be tuned with what is happening around you. You will be there to participate , not just record.. 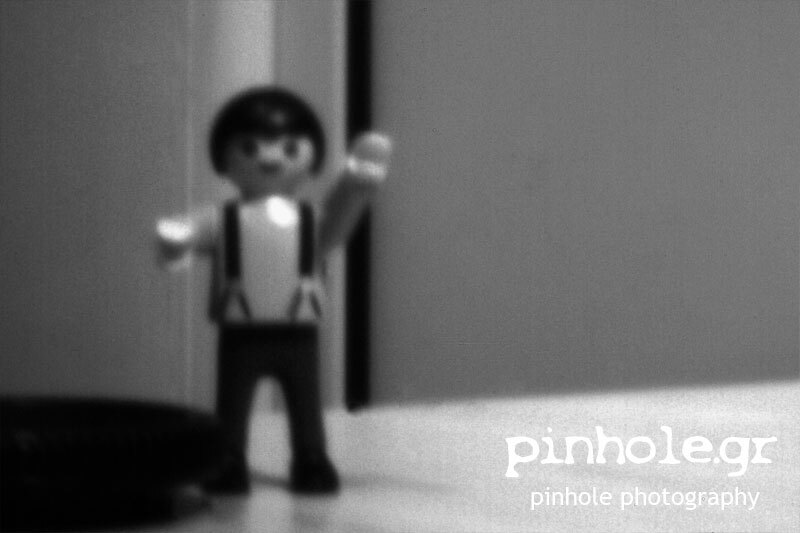 The pinhole camera may not have a lens but offers the bigger depth of field than any other camera. Proper use of this feature can elevate the photographic result.